Could you utilize existing data more, so that the customer experience would always be high quality? This title is a direct quote from the Trade Union’s e-commerce education presentation by CGI’s Mikko Kuusisto. We were participating in a training of experts involved in e-commerce. The discussion in this event proceeded very fast into customer experience and its improvement. This topic is popular right now, and for a reason. Both good and bad service experiences spread faster than before and reach across multiple channels to ever increasing audiences. All of these experiences are also shared more daringly. How do product information and customer experience in an online store relate to each other? The picture below tells the story. The most important parts of an online store are considered to be the product image, product features, product description and product reviews. All of these details are associated with product data. Often this product data is stored in several places, based on each user’s preferences. One person’s excel looks one way, another person’s word file another way, and somebody else’s files look distinctly different. Product photos are stored in each user’s personal files, on the desktop or “where they are easy to find.” In a rush a wrong picture might be published with wrong information. If a customer cannot find what they want, there will be no sale. It is possible to vastly improve the customer experience with already existing product data. 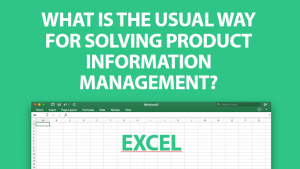 Compilation of information in one place, for example in the PIM system, makes updating the product data more systematic. This way nobody has to look for “the right image” or wonder about a suitable marketing message. When product information is aggregated in one place, product data enrichment becomes easier. Everyone will have access to the same information in one place. Also, this way errors will be minimized. Some of our customers have faced challenges with product data management. You can view the solutions to their problems here. 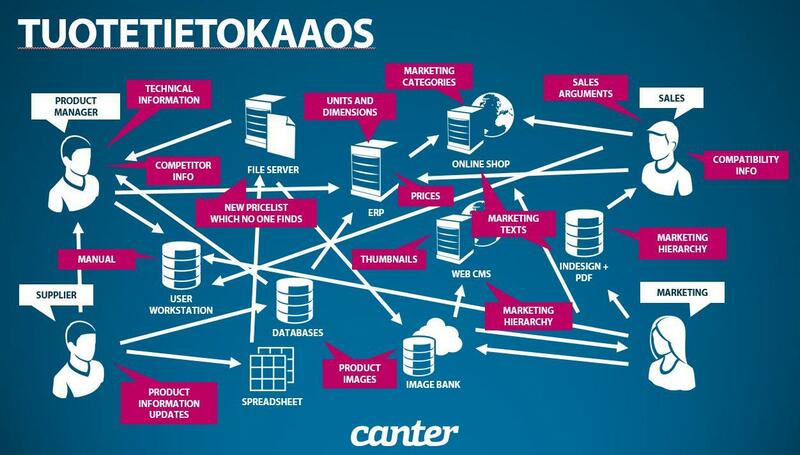 https://www.canter.fi/wp-content/uploads/2018/04/andre-benz-256762-16-9-1920px.jpg 1080 1922 Minna Koivisto http://www.canter.fi/wp-content/uploads/2018/02/canter_logo_2015_C50M100-pad-header-optimized.png Minna Koivisto2015-11-04 19:23:192018-02-22 10:23:42Could you utilize existing data more, so that the customer experience would always be high quality?